Students will be able to associate the long sound made by the vowel e.
Naming and labeling images helps students practice recognizing the long e vowel sound. When all of the students are seated on their dot in the rug area I tell them we are going to watch a short video clip about one of our vowels. Most of the students are able to respond to the question with a, e, i, o, u and sometimes y.
I use the video to get my students thinking about the long e sound through listening to it being used in a variety of words. This will help the students recognize the sound as they listen to the story. While reading the book we discuss any words the students may have questions about. Words like, scales, jagged, connected, etc. We review some of the words from past lessons like, nutrients, chlorophyll, buds, carbon dioxide, chemicals, etc. the reason we discuss unknown words is to help students increase their comprehension skills. If a students does not know the meaning of a word, then their understanding of the sentence is not as clear as it could be. For example, if the reader does not know the meaning of the word "nutrients," then the sentence, "The leaves take in nutrients for the plant," is not as clear as if I know that nutrients is another word for food. “Table number one go have some long e fun. We take 15 minutes to work on this lesson. I use the visual timer to keep track of the time. 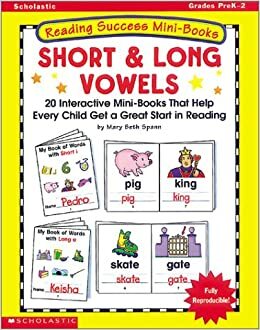 Up to this point in the year we have done a lot of work with the short vowels, but as my students reading abilities increase I need to introduce the long vowel sounds. The students need to begin to experience the long vowel sounds so that they are better able to decode unknown words in the texts we will begin using. I use the fair sticks to select students to give me a word. If a student does not have a long e word, he/she can do one of two things. Wait until the end and then we will work on the word together. Once a student has given me a long e sound word they are able to use the hand sanitizer and go to get their snack. Record the student’s responses on the Long e Assessment Sheet. 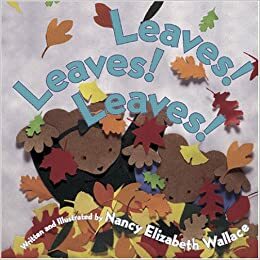 Sort leaves into piles according to the type of tree they come from. I lay out leaf identification cards and have a variety of leaves for the students to sort into the piles. Next I have the students draw their favorite one in their science journal and label it using the identification chart.